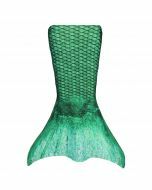 Want to look like a timeless mermaid living the dream life under the sea? Our Celtic Green Bandeau Bikini Top features the stunning combination of deep royal purple and emerald green in our signature scale pattern. 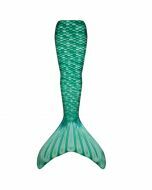 Plus, this top matches Brynn’s Celtic Green Mermaid Tail perfectly! The rich and brilliant jewel tones of our Celtic Green Bandeau Bikini Top will have you dreaming of underwater adventure. 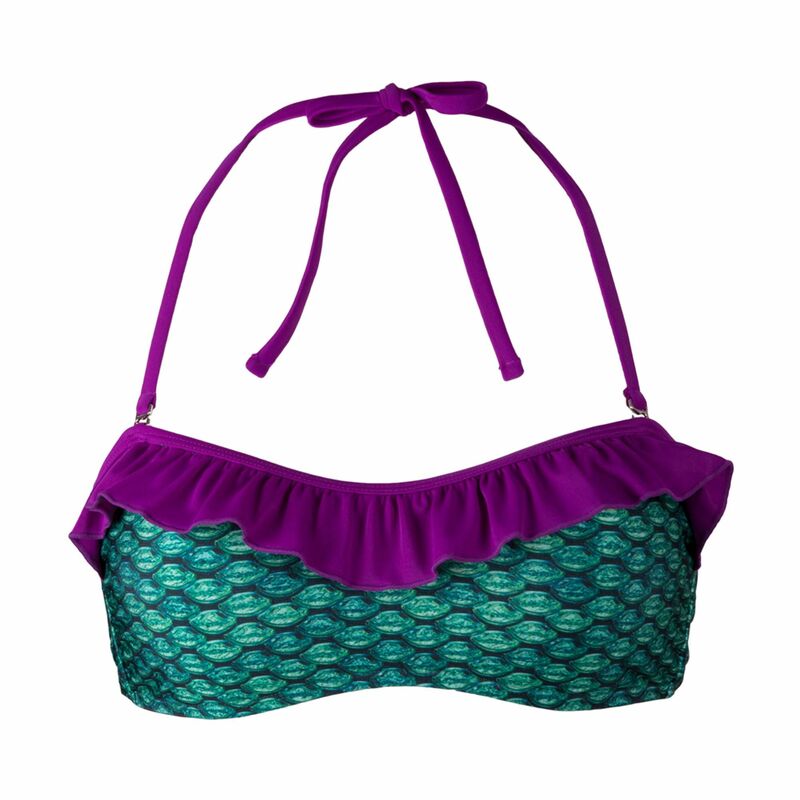 The luscious purple ruffle on this bikini top combined with our innovative scale design makes a perfect combination. Plus, you’ll love our durable swim top straps that can be tied around the neck or removed entirely for a more tropical style. Matching Celtic Green scale bikini bottom sold separately. 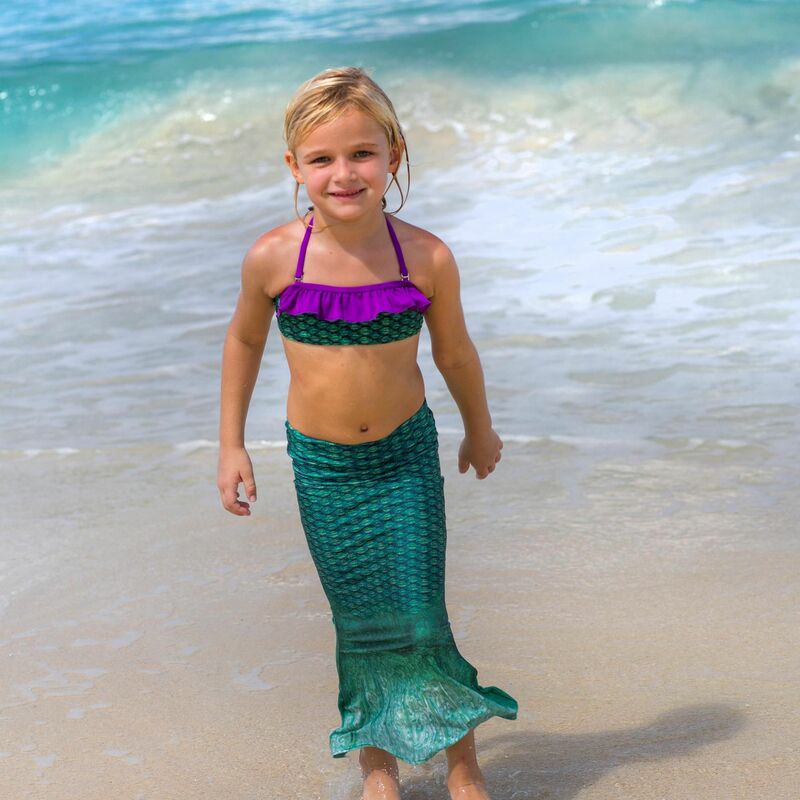 Meet Mermaid Brynn at www.finfriends.com! Note: Youth sizes L and XL include removable no-depth padding in the cups and Women's sizes include a molded cup liner with removable inserts. 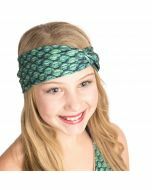 All youth-sized bandeau tops are secured with an adjustable back tie strap while adult sizes are secured with an adjustable back hook closure.